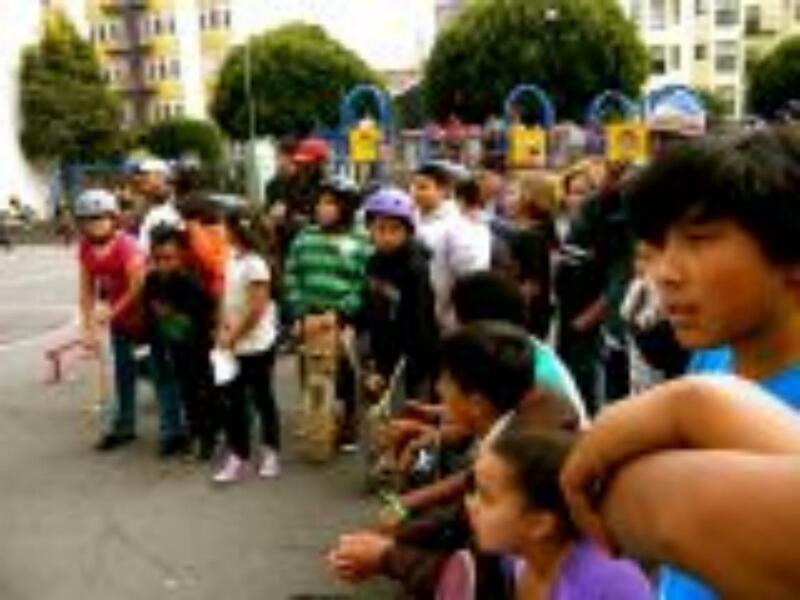 San Francisco Recreation and Park Department (RPD) today joined professional skateboarder Karl Watson in outreach to the young people at the Tenderloin Children Recreation Center. Phil Ginsburg, RPD General Manager and Karl Watson partnered together to encourage the youth to be active and pursue their dreams. After Watson presented the skateboards to the RPD team, he took the opportunity to showcase his skateboarding talent, and gave some pointers to the kids at the recreation center. His performance was inspiring and brought out many skateboarding enthusiasts from all over the Bay Area. The RPD Shred N’ Butter skateboarding program starts this summer, and more information can be found on line at www.sfrecpark.org, or give a call to Tim Roff, RPD Program Coordinator, at 415-666-7020.